- Now Family visa procedure is easier than before. If you have all required documents ready, all steps can be completed from AMER Centre. No need to visit Immigration office. - All charges, including Deposits, Courier and file opening fees will be processed through AMER Centre. Refund can be processed only to the sponsor’s Bank Account. IBAN (International Bank Account Number) of the Sponsor (applicant) is required. - You need to visit the immigration (GDRFA) only if such SMS received. You will receive application status SMS about approval or modification. White colour Visa will be mailed to applicant's E-mail address after approval. If you need pink colour visa, you can visit any GDRFA Dubai branch after receiving approval SMS. No extra fee. Passengers from certain countries need pink colour visa for Emigration clearance. Below mentioned documents are required in original for scanning at the typing centre. + Passport Copies (colour) of Wife and children. + One photograph (white background) of each sponsored person. + Sponsor's original passport and Emirates ID. + Original Marriage Certificate attested from UAE Embassy in Home Country and Foreign Affairs in UAE. For attestation requirements, Call: +97150-715 0562. + Original Birth Certificate (for child) attested from UAE Embassy in Home Country and Foreign Affairs in UAE. + Original EJARI Certificate & Electricity Bill. If you live out of Dubai, Municipality attested Tenancy Contract and Electricity Bill. Tenancy/Ejari should be in the name of the applicant or spouse. + Original Labour Contract. (Minimum Salary Dh3000 + Accommodation or Dh4000). Labour Contract can be printed from MOHRE website or Tas’heel Centre on payment of Dh53. Passport copy is enough for printing Labour Contract. No need attestation. + Visa Fee Dh389 and Dh218 for file opening charge should be paid at AMER Centre. If you have paid for file opening before, bring the receipt for scanning. + If the sponsor is Government or Semi-government Staff, application Fees: Dh339. + Last three months bank statement. Online print will not be accepted. + IBAN (International Bank Account Number) of the Sponsor (applicant). + Confirmation letter in Arabic for daughter older than 18, stating that she is still not married. Parent (sponsor) has to be signed on the letter. Weak professions include: Follow up clerk, Archives Clerk, Insurance Clerk, Sales, Sales Representative, Sales Executive etc. Non-eligible professions include: Light Vehicle Driver, Messenger, Eye Glasses Salesman, Maintenance Mechanic General etc. ENTRY: Visa holder should enter UAE within 60 days from the date of issue and should complete Emirates ID, Medical and Visa Stamping within 60 days from the date of entry/status change. If the visa holder couldn't enter UAE within 60 days from the date of visa issue, visa can be renewed against payment of Dh360+typing charge. This renewal is allowed two times. INSIDE COUNTRY: If the family is inside country on cancelled visa or Visit or Tourist Visa, application fee: Dh1320. After get issued the visa, type Status Change form from Typing Centre. STATUS CHANGE Fee: Dh640. After typing, take the receipt, original passport and visa to any Immigration branch and collect status change proof. + After Status Change, type Emirates ID, Medical and Visa Stamping forms. + Dh3020 Deposit for each family member. This amount is refundable after cancellation of the visa (Effective from 01/08/2014). + Click here for the procedures of visa stamping after entry. EMIGRATION CLEARANCE FROM INDIA: No need immigration clearance for wife when she comes on Residence Visa under husband's sponsorship. BANGLADESH: There is restriction on Family/Employment/Visit/Tourist visa for Bangladeshi nationals. Q: My wife is on Visit/Tourist Visa. Can I change her visa to Residence without exit the country? How much should I pay for this? A: Yes, you can change her visa to residence without exit the country. But you should pay Dh1200 extra to issue visa inside country and status change. Q: I joined my company five months ago, but still I didn't receive my Labour Contract. I want to apply for family visa. How can I get my Labour Contract? A: You can go to Tas'heel Centre with your passport copy. They will print your contract true copy same time. Fee: Dh53. Q: Do I need to visit Immigration office to submit family visa application and collect the visa? A: No need to visit Immigration. Once you submitted online application through typing/Amer centre, you will receive visa through your e-mail. Q: I am on Employment Visa. But my visa still not stamped on my passport. Can I attach entry visa to apply visa for my family? A: No. You should have stamped visa on your passport to apply for family visa. Your labour contract also should be shown at the Immigration to prove your salary. Labour Contract will be issued only after stamping your visa. Q: Do I need to endorse spouse's name in my passport to apply for family visa? A: No. Attested marriage certificate is enough. Q: How long the family visa process takes at Immigration? A: If the above mentioned documents are correct, visa will be issued same day. Q: I want to apply residence visa for my wife and two children. I have got a studio flat in my name. Is it acceptable for family visa? A: Yes, for wife and children studio flat also acceptable. Q: I want to apply residence visa for my child. But Tenancy Contract is issued in the name of my wife. Is it acceptable for family visa? A: Yes, it is acceptable. You should attach wife's passport copy and Marriage Certificate. Q: Can I sponsor my wife in UAE if tenancy contract is in her name? A: You may submit a letter from your wife, stating that she has no objection that you are using the tenancy contract in her name to apply for her residence under your sponsorship. Q: I am an Investor/partner and I heard that I have to deposit Dh3020 at Immigration for each of my dependent's residence visa. Can I refund Dh10000 / 20000 which I deposited for my investor visa? A: Yes, you can refund self visa deposit amount after you deposited Dh3020 for each of your dependent's visa. This facility is available at Immigration head office, Jafliya. STEPS: Submit family visa application online through typing centre, Pay new deposit through online, Get family Visa issued, Go to refund counter with original deposit receipt of self visa, Get seal on the receipt No Objection for Refund. Go to Dubai Commercial Bank Immigration Brach Counter, Pay Dh10 as service charge and collect the cash. This facility is available at Immigration head office, Jafliya. If you have lost your deposit receipt, you should pay Dh70 at Immigration counter to get new receipt in lieu of lost. Q: How can I get my IBAN? A: You can generate it through the concerned bank site. 2. Eagle Management Services, Al Ittihad Road, 137 Alltihad St - Dubai, Tel. +971 4 269 3338. 5. Ahlan Businessmen Services, Ibn Battuta Mall, Jebel Ali, Tel. +971 4 8866060, +971 52 5655505. 8. Al Taresh Government Services, First Floor, Dubai Municipality Al Kifaf Centre, 29th Street, Bur Dubai. 9. Gulf vision government transactions in Muhaisnah 4. 10. One Click Government Transactions Centre in Muhaisnah 4, Madina Mall. 11. 24 Seven Government Transaction Centre in Muraqabat, Salah Al Din Street. 12. 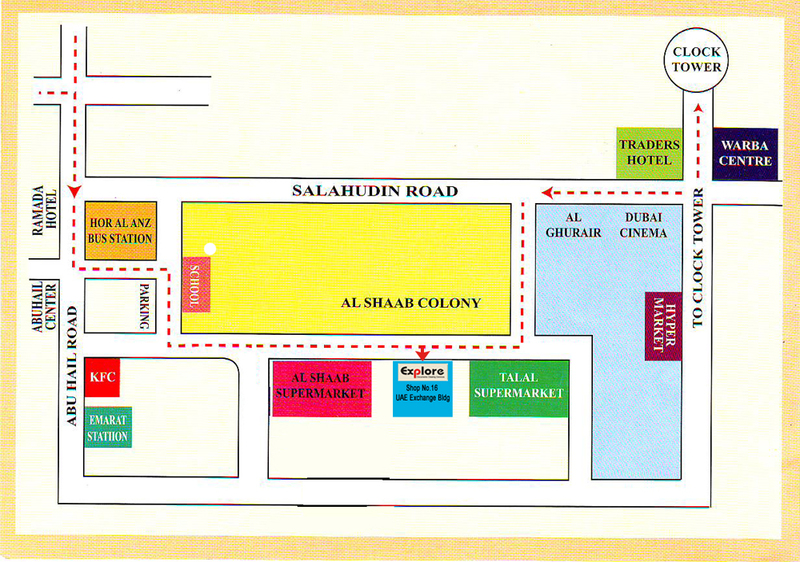 Tamaam Government Transactions Clearing in Marhaba Mall, 1/1, 6 Street, Ras Al Khor. 14. Express Convey Document clearing in Arabian Centre, Mirdif, Al Khawaneej Road, G Floor, Shop 203, Al Mizhar 1 - 262, Mushraif, Dubai. Tel. +971 4 2840205. 15. Fast Action Online Government Transactions Processing, Business Village, Port Saeed. 17. MSME Government Transactions, Al Bustan Centre, Al Twar. 18. GFE Document Services one person company, Showroom no. 2/3 in Al Garhoud. 21. Al Rawda Typing and Documents clearing in the Waterfront Market, Abu Hail. Tags: What is the new salary criteria for family visa in Dubai? Is the Tenancy Contract a must for family visa? How much is the fees for family visa? What are the documents required for family visa? Do I need to present marriage certificate for my wife's visa? Is it mandatory to attest marriage certificate and Birth certificate for family visa? Is the new salary limit applies for family visa renewal? Is the new salary criteria applicable for all the emirates? Where should I pay the fees for family visa? I live in Sharjah, do I need to make Ejari to apply for family visa? I am an Investor/Partner, do I need to deposit cash for my dependents visa? Where can I type family visa application? Do I need to type application for family visa? Do I need to submit my bank statement for family visa? When should I apply for Medical and Emirates ID for my family? Till what age can I sponsor my children? Do I need to attest marriage certificate and Birth certificate from Dubai foreign affairs also? Is there any agent in Dubai who can assist me to get my family visa?